Combination assist. Designed for use on trucks, truck bodies, buses, trailers and industrial use. 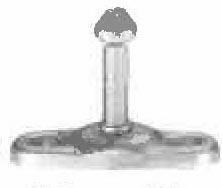 Standard All malleable Iron. 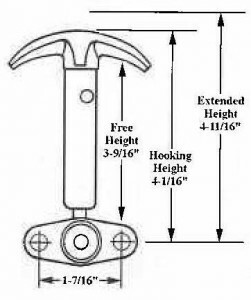 Spring holds assist in open or closed position without rattle. 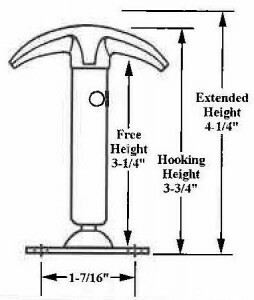 Weight – 1 1/4 lbs. 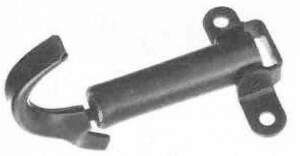 Hood Latch with formed handle. Horizontal mounting. 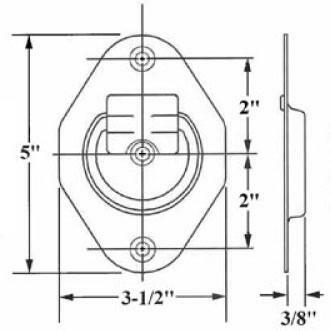 2-hole mounting bracket. 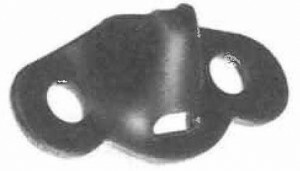 Hood Latch with formed handle. Vertical mounting. 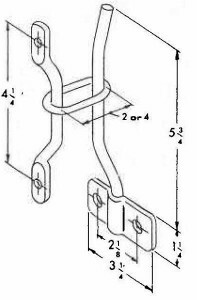 2-hole mounting bracket. 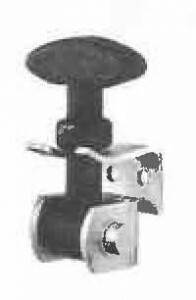 Hood Latch with single formed handle. Horizontal and Vertical mounting. 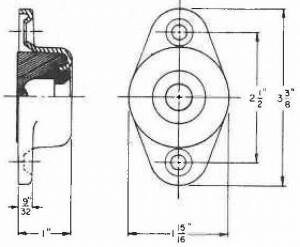 2-hole mounting base. 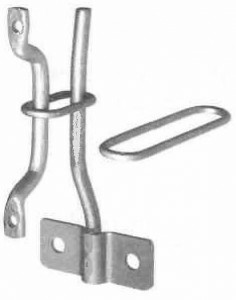 Hooking Bracket used with latches. All steel for trucks and trailer bodies wild swing doors. 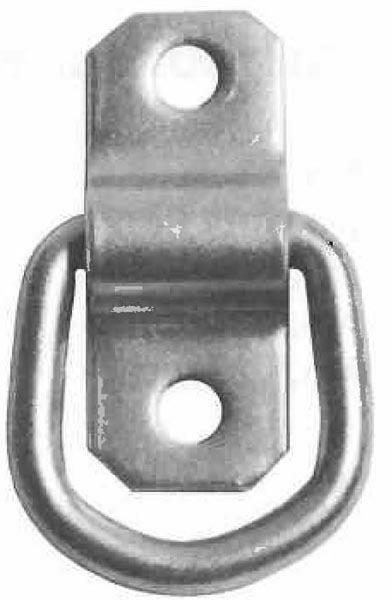 Also may be used for any large swing doors on trucks, industrial buildings, ovens, etc. 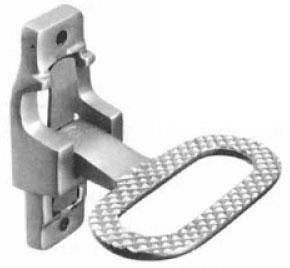 Complete with brackets for vertical or horizontal mounting. Impervious to weather, oils, chemicals and dirt. No mechanical parts to wear. No springs to stretch out of shape. Will not scratch painted surfaces. 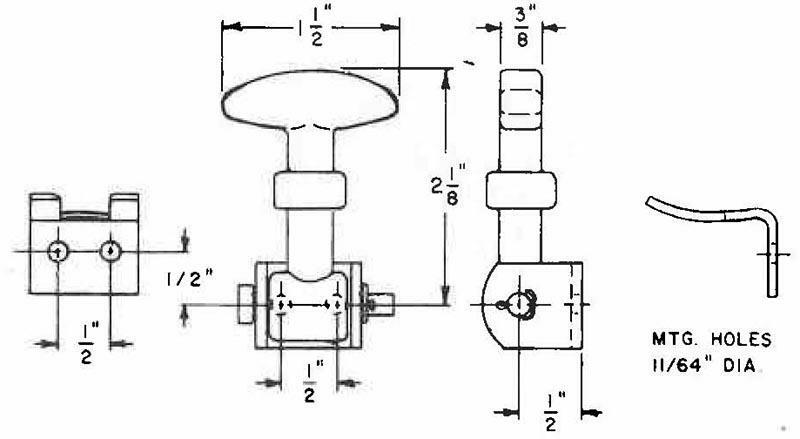 Easily installed flexible rubber catch compensates for misalignment. Never requires lubrication. Individually packaged. Brackets are zinc plated except where noted. 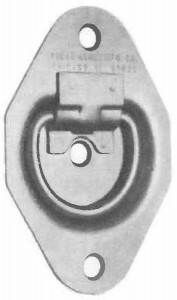 One part is mounted to the surface to be held open. 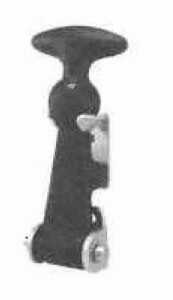 The other to an adjoining stationary surface. 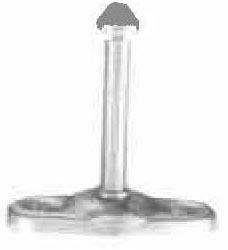 The plunger fits firmly and quietly into the socket, securing the movable surface until it is pulled away. 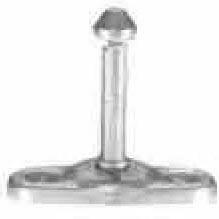 Both plunger and socket are constructed of high quality steel for long wear. 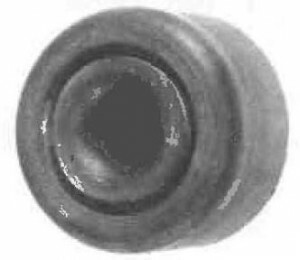 Insert is heavy duty rubber. Zinc Plated. 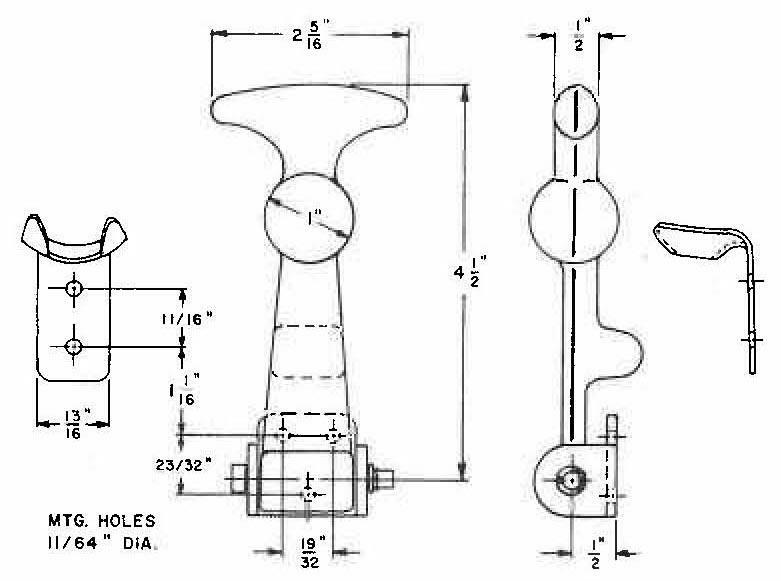 Holes for 1/4″ screw. 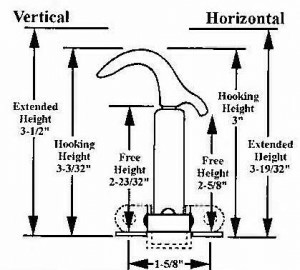 For use with 3/8″ plywood. Manufactured from 14 ga. steel or 14 ga. 304 stainless steel. 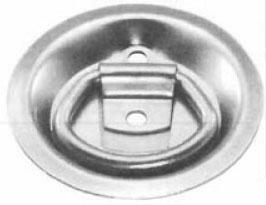 Pan recessed 3/8″ to allow mounting direct to truck body or trailer body cross members. 3 Mounting holes countersunk for 1/4″ screws. 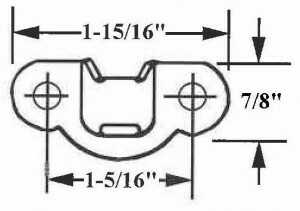 For use with 1/4″ plywood. Manufactured from 16 ga. steel. 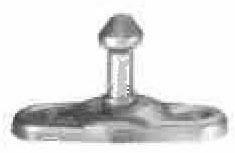 Solid one piece construction dish design assures strong retention of 1/4″ dia. 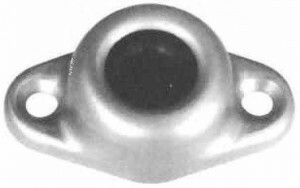 D-Ring. 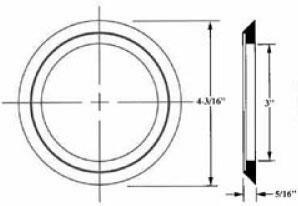 3-1/2″ dia., 2 mounting holes for 1/4″ screws. 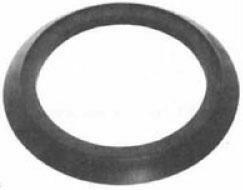 Black plastic trim ring for surface mounting of the 701 rope ring. 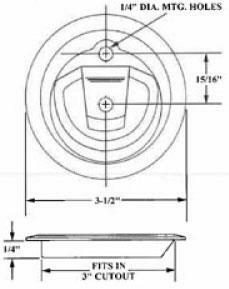 4.2″ diameter, .3″ thick. 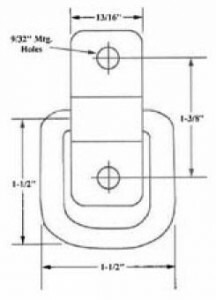 Surface mount rope ring and mounting strap.